Where to stay in Hanmer Springs on a budget? In the alpine town full of hikes, mountain bike trails, quad biking, horse trekking, skiing and some pretty fantastic hot pools, no wander you want to stay in Hanmer Springs awhile. To make the most of this stunning South Island town without breaking the bank, stay in one of the amazing backpacker hostels in Hanmer Springs. There’s a great offering of Hanmer Springs hostels, all with their own charms. 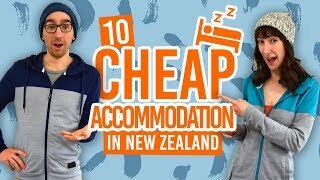 However, as there are only three hostels in Hanmer Springs, we’ve added a couple of other backpacker accommodation options to this list so you can find the right accommodation for you. Plus, you can stay longer and try all these awesome 10 Must-Dos in and Around Hanmer Springs. It doesn’t get more homely than the Jack in the Green Backpackers in Hanmer Springs. This modern hostel has eight rooms, giving a friendly atmosphere to the place. Stay in dorm rooms with no bunks, private rooms and even a couple of en-suite garden chalets. Of course, the hostel has all the essential communal facilities like an equipped kitchen, laundry and plenty of space to relax in the garden or lounge. Plus, BBH members benefit from a discount. Check Jack in the Green out! Another cosy and homely hostel can be found at the Hanmer Backpackers. This Swiss chalet style backpackers emphasises the alpine feel of Hanmer Springs. Stay in one of six rooms where dorms have a mix of single and bunk rooms. There are also private rooms and family rooms. As well as a kitchen, dining, laundry and lounge areas, other facilities include a massage chair and 300mb of free WiFi per day. 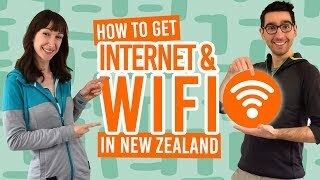 (See our tips of getting WiFi for keeping connected in New Zealand). As the most central hostel in Hanmer Springs, YHA Kakapo Lodge has the ideal location for a quick stroll to the hot pools. This purpose-built hostel has plenty of space whether you are staying in the dorms (no bunks), private rooms or family rooms. As well as a large equipped kitchen and dining area, you can make use of the laundry and free 500mb of WiFi too. Plus, YHA members benefit from a discount! Check YHA Kakapo Lodge out! Your alternative backpacker accommodation option in Hanmer Springs are the holiday parks. They offer budget cabin accommodation which provides cheap accommodation with access to all the communal facilities that you would expect in a hostel, such as kitchen, laundry, etc. Book a standard cabin for your own private space to share with your partner/travel buddies, or treat yourself to a motel or studio unit. Those travelling in a campervan or who have a tent can make use of the tent/powered sites. Check Pines Holiday Park out! Just one more budget accommodation option in Hanmer Springs to consider is the Alpine Adventure Holiday Park. We like the super budget option of the non-powered and powered cabins, which is a step between camping and hostelling. Of course, there’s also camping sites, flats and even chalets to upgrade to. This accommodation is great for those with their own transport, as the holiday park is a little out of town. However, a courtesy shuttle runs regularly to the hot pools and town. Check Alpine Adventure Holiday Park out!